How many sites can you install MemberMouse on? Shortcodes, SmartTags and SmartTag Equations! What themes are compatible with MemberMouse? What plugins are compatible with MemberMouse? What does MemberMouse look like? 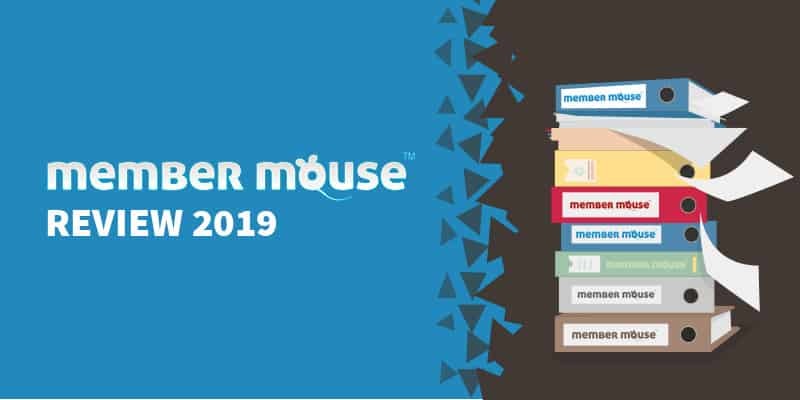 With so many membership plugins on the market in 2019, you’re probably wondering how MemberMouse stacks up to the competition. Our review is based on actual, real world experience “in the trenches” using and working with this plugin. My team and I here at MemberFix have been working with MemberMouse for over 5 years now. We’re even MemberMouse qualified contractors! We’ve worked on dozens of different projects that have put this popular membership plugin to the test. We’ve also had many interactions with their support team (including their passionate founder, Eric Turnnessen). And we’ve seen enough of the pros and cons of MemberMouse to be able to make a bona fide comparison with the various other solutions on the market. Our aim with this post is to give you the inside scoop on MemberMouse and help you make an informed decision as to whether or not this app makes sense for you and your business. Before we get into the features and functionality let’s first address price. This is often one of the primary considerations when choosing a membership plugin, and for many folks an overpriced app is a deal breaker. MemberMouse’s pricing model is quite straightforward. You pay a flat monthly fee and get virtually everything you need to run your membership site, even on their lowest plan. You’re not obligated to pay for a year up front nor is there any contract. You pay month-to-month and come and go as you please. Within each plan you can elect to pay extra for a greater quantity of allowed members on your site. However, we’ve only ever had a small handful of customers who were on the Advanced or Premium plan. Moreover, we’ve only very occasionally had customers who ever went beyond the base 1000 members that you get on the Starter plan (which is their cheapest plan). The next major concern many customers face is whether or not a particular piece of tech is easy to set up and work with. I would rate the difficulty of setting up and working with MemberMouse at “medium”. While MemberMouse has one of the best UIs in the biz, there are a few wrinkles that prevent me from giving it an “easy” rating. This configuration tends to befuddle newcomers to MemberMouse. Indeed, I’ve always found this setup cumbersome because it tends to create a mess with your content protection and post-login redirection pages. So then why in tarnations does MemberMouse have three product classes instead of just one…? Competing plugins like MemberPress and DAP, for instance, have only one product class (“memberships” and “products”, respectively). And tag based plugins like ActiveMember360 don’t require a product class at all; they just use tags! The rationale behind this approach is that membership levels and bundles protect content. Products, on the other hand, act as different price points that grant access to a particular membership level or bundle. Issues arise because each product has to be associated with a membership level and/or bundle. So for this reason I primarily use one free membership level and one paid membership level for an entire site, and manage everything else through bundles. I find this system to be serviceable but suboptimal. While you eventually come to understand how it works and get used to it, it’s just not as intuitive as “products” in DAP, or “memberships” in MemberPress. MemberMouse has stellar content protection capabilities. MemberMouse uses a number of “core” pages to perform various functions. Examples include the Member Home page, the My Account page, the “save a sale page”, and the checkout page. These are default pages in MemberMouse that have to be set. When a member logs in to their account, depending on the membership level or bundle he has, he’ll be redirected to a specific core page (the “member home” page). One thing I don’t like is that this page is defined on the basis of membership levels. You can’t redirect a member to a particular page on the basis of a bundle. Yet this is a logical need because bundles represent add-on offers and don’t necessarily need to give access to the same member home page as folks on the same membership level who don’t have that bundle but are required to be assigned to a membership level. Better yet, why not have a setting in the bundle configuration that lets you choose if you’d like to redirect buyers of a bundle to the core home page associated with a membership level, or with the core home page associated with this, or another, bundle? Additionally, if you want to give the same member access to multiple membership levels, you can’t. Members can only have access to one membership level at a time. If you change a member’s membership level, it will revoke his access to the first level’s content and grant access to the second level’s content. 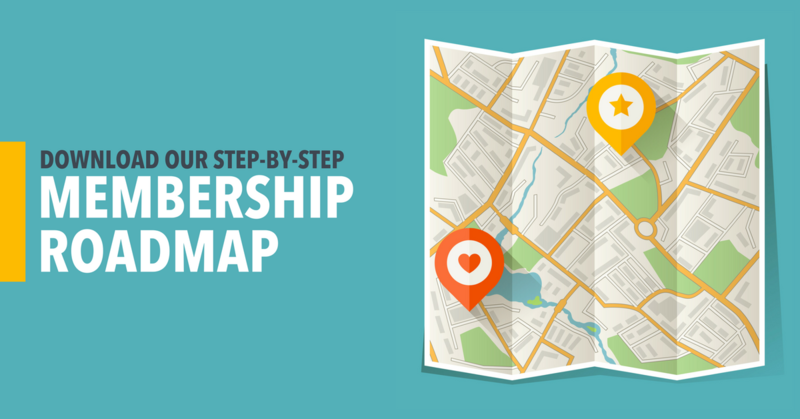 This requires you to be strategic with the way you structure your membership levels and their associated access rights. Last but not least, if you give a member access to a particular membership level they’ll also get access to all of the bundles protected by that level (with MemberMouse, you can choose whether or not to protect bundles by membership level). But, if you give a member access to a bundle it will not give him access to all of the content associated with that membership level. I want to clarify that this is something that you can choose to do or not do. Which means you can choose to assign bundles to a membership level. But to be clear, you are not able to do the reverse of assigning membership levels to bundles. My team and I have also implemented some additional workarounds using WordPress user roles to grant access to content on the basis of a member’s role. While this is a serviceable system and follows a consistent logic, I admit that to this day I find it to be unnecessarily complicated. And I’m kind of a big deal, hot shot expert guy, so I should be relatively unfazed by the vagaries of technology, right? That being said, it’s important to keep a sense of proportion. MemberMouse has been around for a while. And it’s easy to look at a next generation plugin like ActiveMember360—which is based entirely on tags in a member’s contact record within ActiveCampaign—and dismiss how sophisticated and elegant MemberMouse actually is. I covered these cons not to bash MemberMouse (which I like and use and support for many of our customers) but because it’s important to honestly know what kinds of issues you may face when working with a particular piece of tech in advance. But I find—and most of our customers find—that the pros outweigh the cons, and in fact, MemberMouse is my first choice for a NON-tags based membership plugin. The Advanced and Premium plans (the middle tier and the highest tier, respectively) provide you with a few additional albeit uncommon integrations, including UserVoice (a user feedback app), LimeLight CRM, and Social Login Functionality (Facebook, Twitter, LinkedIn) for your members. However, the chief value of the higher plans in most use cases is that you get access to the MemberMouse Advanced Reporting Suite. While the Starter Plan does come with a basic reporting suite which has proven to be sufficient for most of our customers, the advanced suite featured in the Advanced and Premium plans gives you more in-depth reporting about key membership statistics like churn rate and lifetime value (LTV). This upgrade might not make sense if you’re just starting out. But if your membership site has a good deal of traction, and once you’re doing a substantial amount of (recurring) business, an upgrade could be a good investment. This is particularly true if you’re running paid ads to acquire members or customers. In this situation it’s critical to know your numbers to ensure, among other things, that your ads are running profitably. (This is a particularly powerful strategy if you combine it with insight-producing tools like Google Analytics’ free click tracking together with the Divi theme’s built-in split testing functionality). A screenshot of the MemberMouse Basic Reporting Suite. There are a few additional graphs provided but not pictured here. A key point is that MemberMouse’s Starter plan, while missing the advanced reporting and a few frankly esoteric integrations, is actually quite fully featured. It’s in no way fundamentally handicapped or limited. Contrast this with some competitors—and I’m not just talking about membership plugins—that sell gutted core software, whose functionality is limited to the point that you’re virtually forced to upgrade to a higher tier; or, who require you to purchase expensive add-ons and extensions to get anything beyond the basic features. While that’s a valid business model that can be done ethically—and while there’s a lot to be said for modular software that allows you to activate only those features that you need—I generally prefer to get the whole kit and caboodle if I’m paying monthly. As I mentioned in the pricing section of this article, your subscription only entitles you to run MemberMouse on one site. So if you need to install MemberMouse on several domains, you’d need a MemberMouse subscription for each of those sites. That would obviously get expensive quickly, and if your intention is to run a membership plugin on multiple sites – especially in an agency context – I’d recommend reading our review of a competing (and also very solid) membership plugin called MemberPress, which is more generous in this respect. 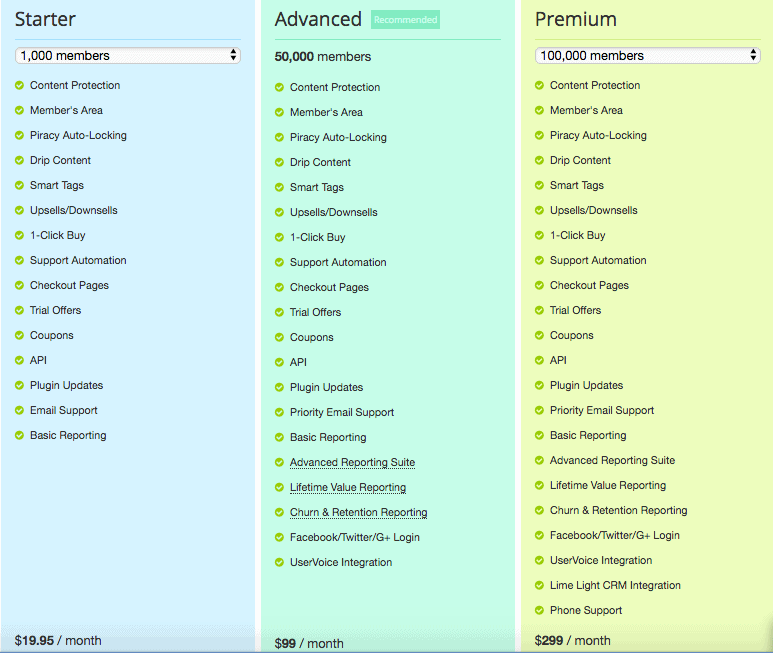 Overall, MemberMouse is a good value if you only run one membership site. For what you pay, even at the lowest plan, you get most everything that you need to fully run your membership. MemberMouse doesn’t nickel-n’-dime you by withholding foundational features (or even advanced features) on their Starter plan. So it’s unlikely that you’d need to upgrade to the Premium or Advanced tier unless you wind up building a highly successful membership site, or unless you absolutely need the advanced reporting, or one of the uncommon integrations mentioned above. In short, the Starter Plan is fully equipped and sufficient for the great majority of use cases we’ve encountered. MemberMouse includes its own full-featured checkout functionality. You couldn’t really call it a proper shopping cart in the same sense that WooCommerce or Amazon.com is a shopping cart. When I sent the draft of this article over to my acquaintance Matt over at MemberMouse he asked me to make this point very clear as it’s caused confusion for prospective MemberMouse customers in the past. The main difference between MemberMouse’s checkout functionality and a proper cart is that you can sell one product at a time via MemberMouse, whereas with a true cart you can add / remove multiple items and then check out for all of them when you’re ready. Even with this limitation, many of our MemberFix customers who use MemberMouse find this level of functionality to be sufficient because you generally only sell one membership at a time anwyay. With that disclaimer aside, let’s look at what the MemberMouse checkout functionality offers. To begin with, the checkout page is clean and responsive. If you don’t like the way it looks you can re-style it (to a degree). You can even make it a 2-step or 3-step form (with a bit of custom code). It’s nice to have this option because with competing plugin MemberPress, for example, the checkout form is 2-step by default, and changing it is crazy hard. MemberMouse checkout page example from one of our customers. This page is highly customizable. Naturally, you’ll get nowhere near the degree of customization that a dedicated cart solution like ThriveCart or WooCommerce can give you (especially in conjunction with Divi and WooCommerce Builder). If you’re really particular about the look and feel of you checkout experience, and you don’t really like MemberMouse’s checkout, I’d look at these two options instead. Plus, they both integrate with MemberMouse, and pretty much anything else you can think of! The native MemberMouse cart integrates with Paypal, Stripe, Authorize.net and Braintree for payment processing. It can also perform 1-click upsells (Stripe and Braintree only). That includes 1-click upsells within the members area when a member is logged in! As mentioned earlier, it’s not a “true” shopping cart because you can’t add a bunch of items to your basket and then pay for everything all at once, like on Amazon.com (or with WooCommerce). However, in the vast majority of use cases I’ve seen this kind of functionality isn’t necessary anyway. Most of the time you just need one good checkout page for one membership at a time. 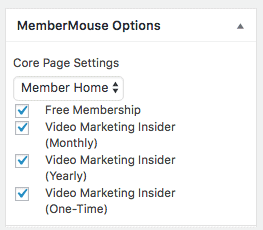 The most obvious use case for MemberMouse is running a subscription-based membership site that features a members area with members-only content. Members will typically pay a monthly, quarterly, or yearly fee for a given duration of access to the site. And the site vendor may choose to have several tiers of access (membership levels), as well as optional add-ons (represented by “bundles” in MemberMouse). But this is by no means the only way you can use this powerful plugin. My team and I are in the process of documenting a variety of use cases in which MemberMouse does a great job of handling the checkout experience, content protection and account management. As we take these articles live, the links below will become active. In this case study we examine how to use MemberMouse to sell a productized service to give your customers a SaaS-like experience with your service without having to develop a custom backend from scratch. Developers love to build black boxes that only they can tweak, so our preference (especially for MVPs) is to use a stack of existing and proven tools in WordPress before, or even in lieu of, committing to laborious coding. In this case study we look at using MemberMouse for a standard membership website. This is the most common use case we see. Software with a service (“SWaS”, as contrasted with a Software AS a service or, “SaaS”) combines heavy automation via software plus a services component. It’s kind of like a bridge between a productized service and a pure SaaS. In any case, this model has great potential in conjunction with MemberMouse due to its relative developer friendliness or, extensibility. We’re in the process of writing several “versus” style posts comparing the pros and cons of MemberMouse to other membership scripts on the market. The links to these posts are below and will become active as each post goes live. Apart from these baked-in integrations, I’ve encountered a number of others from third party developers. We’ve built a few custom integrations for our customers as well. 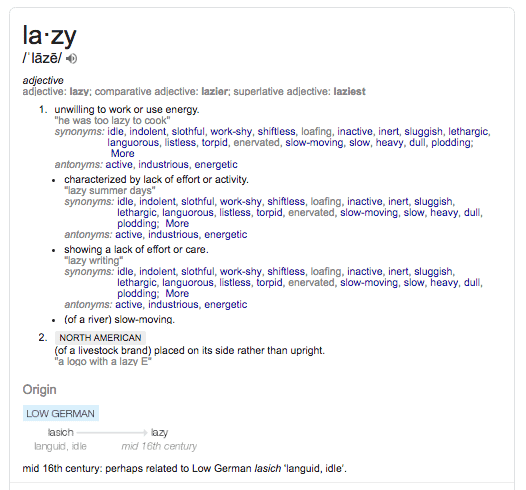 I’ve included a few particularly useful or interesting examples below. One of our customers had a very exciting integration developed between MemberMouse and Intercom. Intercom gives your members a real SaaS-like experience by allowing you to fire certain “actions” based on various “triggers” inside of your membership site. A trigger could be anything from clicking a link to visiting a certain number of pages, to being inactive for a certain number of days, and so forth. You can then create various automations and actions based on these triggers to help your members engage with and make the most of your offering. You can also use Intercom as your email marketing app, your CRM, and your chat, all in one. It’s very powerful stuff! This particular customer had an integration built which sent all of a member’s data from MemberMouse into Intercom, which enriched their understanding of their members, and allowed them to craft engagement and sales sequences and present them in a live chat popup as well as via email. While Intercom is pretty expensive, it also obviates the need for a help desk since the live chat widget serves that function too, while giving members a more personalized “chat” type experience than a help desk typically does. Unfortunately, this customer wasn’t willing to share the integration publicly. But at least we now know that it’s possible to implement with a good developer. My team and I are looking to develop this integration for a customer and then share it publicly. So if you’re interested in potentially setting this up, get in touch! WooCommerce adds an incredible amount of flexibility to the way you sell products. Unlike the MemberMouse checkout, which only allows people to buy one product at a time, WooCommerce functions like a real cart (think Amazon.com) and allows people to buy multiple products, combinations of different types of products (physical and virtual, for example), and you can really configure your checkout experience the way you want. You can see why somebody might want to replace the default MemberMouse checkout to use Woo instead. The folks at HappyPlugins have developed a WooCommerce MemberMouse integration plugin which allows your visitors to purchase MemberMouse subscriptions and bundles via the WooCommerce checkout flow. Please note we haven’t tested this plugin ourselves yet so we can’t speak to its quality. Over the last few months I’ve become more and more impressed with the popular affiliate marketing plugin for WordPress, AffiliateWP. At first I was annoyed by the fact that it has dozens of add-ons that extend its functionality rather than having everything built in straight away. But now I understand at least part of their rationale. If you only enable the extensions that you need, you don’t unnecessarily weigh down your site’s performance by loading scripts that aren’t in use. Furthermore, because AffiliateWP is quite extensible, this add-ons business model allows 3rd party developers to write various plugins to extend its functionality. (For example, we recently documented a way to sell GIFT memberships using WooCommerce and AffiliateWP with the help of a 3rd party plugin). The integration between AffiliateWP and MemberMouse is functional out of the box by simply adjusting a few of the settings inside of AffiliateWP per this documentation. I’m still a big fan of the iDevAffiliate affiliate marketing suite – which MemberMouse has a “deep” integration with, by the way – but AffiliateWP has been winning me over lately with its flexibility, which is quite important when your business is growing and when you’re constantly making small pivots. MemberMouse integrates with my preferred shopping cart app, ThriveCart (which we use here at MemberFix and which my business partner Lesly also uses on his painting membership site, LearnWatercolors.net). Update (February 25, 2019): Lesly has switched over to WooCommerce because of the greater flexibility it affords him. We’re both still big fans of ThriveCart but for his use case WooCommerce is more appropriate. The only caveat when you use an external cart instead of MemberMouse’s native checkout is that the 3rd party cart takes over the payment and account handling. This means that your members won’t be able to login to their My Account page on your membership site to cancel, upgrade and downgrade their subscriptions like they would if they had signed up via the default MemberMouse checkout system. All of that is now handled by ThriveCart. A big benefit of this arrangement is that MemberMouse provides an automatic overdue payment handling system which many customers find quite valuable. However, we recently figured out how to keep the member’s experience inside of the members area and allow them to perform all of these actions even if you’re using a third party cart for the checkout component! We did this with another shopping cart / funnel app called PayKickStart (article here) but it could certainly be done with ThriveCart, SamCart and others, assuming their API is up to the task. Sometimes you need a certain integration but it’s not available out of the box. Luckily, MemberMouse has the ability to interact with Zapier by sending push notifications to the Zapier email parser. You can then create integrations with various apps, like we did with our MemberMouse and ConvertKit integration. MemberMouse has varying levels of integration with the various popular email marketing apps. We’ve worked with every conceivable integration so we can lend a few thoughts on the subject. The native integration between MemberMouse and ActiveCampaign is somewhat lacking. You can map membership levels and bundles to lists but you can’t add & remove tags or custom fields on the basis of a member’s status in the membership. In the email marketing world this is a dated approach because it essentially revolves around the idea of using lists for everything. The modern conception is based more on using lists as general categories to organize your subscribers, while tags and custom fields do the more granular work. You can still achieve this with the MemberMouse integration but a workaround is required. You’ll have to create a sort of “pass through” list for each action you’d like to take place based on a MemberMouse trigger, and then create an automation that uses being added to that list as the trigger action for that automation. Then, you’ll perform the actual actions you wanted to begin with (tagging, custom fields, various removals, etc.) Finally, you can set the automation to remove subscribers from this “pass-through” list at the end of the automation. Alternatively, you can also manage this process with more control using a combination of MemberMouse push notifications, the Zapier email parser, and Zapier zaps. The problem with this approach, however, is that you’ll potentially wind up with quite a lot of zaps, and Zapier only allows you to have a fixed number of zaps (the actual number depends on which Zapier plan you’ve subscribed to). ActiveCampaign is one of the leading email marketing tools on the market and it’s all about tags in ActiveCampaign. So on that basis alone I wouldn’t mind seeing a more robust integration between MemberMouse and AC. Finally, there’s a third option that actually solves this problem pretty elegantly. That is the MM2AC connector plugin from Campaign Plugins. It’s $100 for one site. I’ve had some experience with this plugin on a customer’s site, and from what I recall it works as advertised. One sign of an excellent membership plugin is how sophisticated their content protections and shortcodes are. In MemberMouse – as in several competing solutions – you can use shortcodes to selectively hide and display content, as well as perform other useful actions. These shortcodes are basically “if, then” equations that check whether a condition, or some combination of conditions is true or false. On the basis of the result, a certain action gets performed. Here’s a common use case for conditional shortcodes. Let’s say you have a membership site with 3 different membership levels (bronze, silver, gold) but just one members homepage / dashboard the members belonging to all membership levels share. Let’s say you want to show a different welcome message to your members depending on which membership level they belong to. You can use a MemberMouse SmartTag equation to check the member’s membership level, and return a value depending on the result. The shortcodes are basically asking MemberMouse what the membership level of the logged-in member is. Then, if the membership level matches the value in the shortcode (membershipId) it will show the content in between the opening and closing tag. If the condition is not met, nothing will be shown. While this is a common and very simple scenario, it’s just scratching the surface. There are many more kinds of SmartTags and SmartTag equations and there are some incredibly sophisticated ways in which you can use them, including programmatically in conjunction with your theme and plugins, in menus, in push notifications, in emails, and more. I’m also encouraged because MemberMouse has done a good job over the years of implementing user suggestions, including honoring a sorely needed request to allow shortcodes to check for the product ID value, in addition to the membership levels and bundles that were already available. While nascent membership sites won’t make very heavy use of all this cool conditional logic, it’s nice to have the option to extend the functionality of your membership site as it grows with you. In this respect, the MemberMouse SmartTags will give you the wiggle room you need to pivot your business with ease. MemberMouse is compatible with virtually any WordPress theme. However, some of the MemberMouse core pages – namely: “My Account”, “Login”, and “Checkout” – are pre-styled by a stylesheet native to MemberMouse. In the case that you don’t like the look and feel of a core page you can generally modify it pretty easily with some custom CSS. We find our beloved Divi theme works extremely well with MemberMouse. Most plugins will play nice with MemberMouse but occasionally there are conflicts with other plugins. This isn’t specific to MemberMouse per se; it’s the case with most membership plugins as they all work in a similar fashion. Below are a few potential conflicts to look out for. As a rule of thumb you don’t want to enable another membership plugin at the same time that MemberMouse is also active. There can also be conflicts between MemberMouse and WooCommerce because they compete for system pages (in this case, just make sure to assign unique system pages for each required WooCommerce and MemberMouse core page and it should resolve the conflict). Sometimes you might need to have both MemberMouse and another membership plugin active simultaneously (for example, if you’re performing a migration) but I highly recommend you only try this on a staging or test server and not on your live membership. Some performance plugins like WP-Rocket (which is what we use) can cause funky issues on your membership site. Issues might include things like not being able to login / logout, content access issues, appearing to be logged in as another member, and so forth. This is due to the very way that caching works. You can largely avoid these problems by adding your protected members pages and system pages (login, my account, password reset, etc.) to the list of caching exceptions provided by most performance plugins. Or better yet, separate your “front facing” and membership sites completely by putting them on different WordPress installs (a subdomain like members.yoursite.com is a good choice; a completely separate domain on a separate server is an even better choice). That way you can cache the non-members site and tweak performance aggressively while leaving the membership site unmolested by various conflicts. It’s also important to note that many hosting companies – managed WordPress hosting in particular – tend to aggressively cache websites on both the server and application level. This can cause the same kinds of issues even if you don’t have a performance plugin like WP-Rocket installed. WPEngine – (WPEngine not only caches the crap out of your site but also limits the number of caching exceptions you can have. Without their caching active the main value proposition – fast speeds – is taken away. Short version is that WPEngine is a poor choice of hosting for membership sites, although it’s fine for other types of projects). Pagely – (I like Pagely on the whole but I’ve seen their caching cause conflicts with membership sites. They also don’t let you install many different kinds of plugins that they consider too risky. This limits your flexibility to run your site as you well please). SiteGround – SiteGround is a good entry level shared hosting company that has 2 caching options you can toggle in the cPanel. Many of our customers run their memberships on SiteGround and I haven’t seen any conflicts with their caching. However, SiteGround is very stingy about resource allocation and I have seen many problems around server errors and poor performance which are generally remedied by upgrading to a higher tier of SG’s hosting. Plugins that control the user roles in WordPress can also screw things up a bit. By default, MemberMouse assigns the ‘subscriber’ role to members. If one of your other plugins changes a user’s role it may result in that user being unable to access the site or their members content. Security plugins don’t tend to cause conflicts with MemberMouse per se but rather because they lock out users who attempt too many sign-ins unsuccessfully. The result is that the security plugin locks them out! In order to avoid frustrated emails from members you’ll want to set the number of attempted logins before lockout occurs to 50 or more. You might even want to set an email notification that pings you when a customer has attempted to login ‘x’ amount of times, so you can reach out give them a hand. You’ll also be able to configure how long a user should remain locked out. I usually set this to an hour, unless it looks like the offending user is in fact a bot (in which case you can set it for a longer period of time). I don’t recommend you uninstall your security plugin altogether if it starts causing you a headache, which is a common, understandable but ultimately bandaid solution. Rather, it’s best to go through the settings one by one (or better yet, have us do it) to ensure that it’s not interfering with the smooth functioning of your membership site and keeping your site secure at the same time. Occasionally I’ve also seen various 3rd party plugins conflict with MemberMouse. More often than not it’s a case of the offending plugin being poorly coded, or not getting updated for a while. Whenever a conflict occurs you should deactivate all of your plugins except MemberMouse, activate them one by one, and test each time to see if the conflict reappears. In fact, MemberMoue has a safe mode that does exactly that for you! Once the conflict reappears you’ll know which plugin is the culprit. This is troubleshooting 101 and it’s important that you or the team who handles your tech knows how to do it, especially if your site uses a lot of plugins (which increases the possibility of conflicts). Want us to do it for you? Hire us! 1. 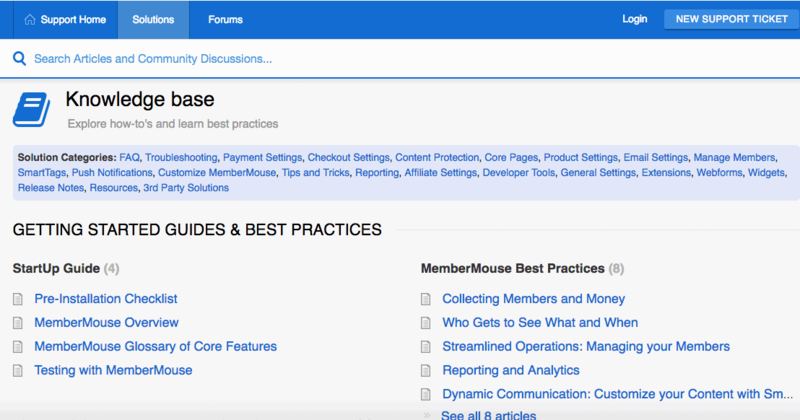 What does the MemberMouse UX inside the admin area look & feel like? 2. What does a site that uses MemberMouse look like to the user? Let’s address the UX question first because it’s certainly important. We’ve actually had several customers ask us to migrate them away from Digital Access Pass out of frustration with its “ugliness” (their words), even though it’s functional. Design, UX, look & feel all matter! Luckily, MemberMouse is solid in this department. I would say it’s probably one of the best-designed membership plugins on the market in terms of how it looks and feels when you work with it as an admin or team member. 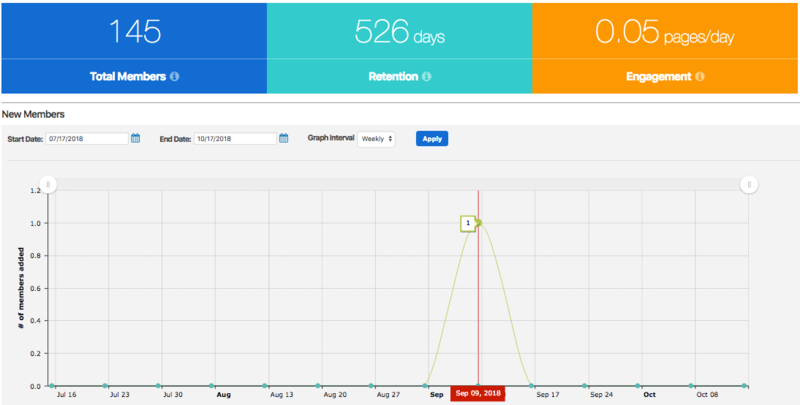 In terms of how a site built with MemberMouse looks, the answer is: it depends. It depends because the look and feel of a site to an actual visitor or member is primarily determined by the WordPress theme you use, NOT the membership plugin. The membership plugin performs functions that are largely invisible to the end user (like logging him in, protecting content, and so forth). However, there are indeed certain elements of the MemberMouse plugin that have a design component the user interacts with, like checkout pages, my account pages, login pages, and other “system” type pages. These are all default MemberMouse “core” pages which have some built-in styling. They can also inherit some of the styling from your theme. It’s important to note that you can heavily style these to your liking so you’re not “stuck” with these designs! For the most part, however, the way your membership site looks will be determined by your theme, your LMS app (if you have one), your forum app, your page builder (Elementor, Thrive, etc. ), and your actual design. So in other words, MemberMouse can “look” like just about anything! Whether you’re the owner of a membership site, or the support team that sets up and maintains the site most of the time, it’s critical that your membership plugin be well documented. Moreover, the documentation should be clear, intelligible to non-techies, well-organized, and easy to locate. Whether or not the value of good documentation is immediately obvious to you as a concept, it’s when your membership plugin does something weird on a Saturday evening and support isn’t available until Monday, that you’ll probably find yourself doing a Google search to pinpoint—and hopefully resolve—the issue, PDQ. What should come up in the first few listings of the search results are pages on your membership plugin vendor’s website, detailing the issue, and explaining ways to address it in plain English. Yet you’d be shocked at how many popular apps simply lack complete and thorough documentation. Or, the docs are super hard to find; or, there are multiple docs that contradict each other. Sure, you can always ping support but sometimes you don’t have the leisure of waiting around for their reply (if, say, you’re in the middle of a launch, gahd fuhbid). That’s exactly why solid documentation is so vital and so valuable; not only is it educational because you learn more about one of your key pieces of tech and how to use it, but it will get you out of a jam. In this regard I give MemberMouse a 5 out of 5! Their knowledge base is housed inside of their FreshDesk portal (similar to our own), is neatly categorized and organized, is unambiguously labeled, and well written. One of my pet peeves is when presumptuous programmers pompously place their paraphernalia into video form, unaccompanied by text. While video documentation is undoubtedly useful as an adjunct to text, if it’s the sole medium of documentation, it forces you to go on a virtual Easter egg hunt to find the exact place(s) in the video where your issue is (hopefully) addressed. Not only that but Google can’t magically transcribe the text in video and rank webpages on what it finds inside (yet). So video based documentation is harder to find in a search because it gives Google nothing to grab onto. On this head, however, I must say that MemberMouse does a sterling job. Most of their docs are text-based, and many of them are also accompanied by a video. The practical consequence of MemberMouse’s fastidiousness is that me and my team can usually find the solution to a technical problem that MemberMouse presents rather quickly, without having to contact support and wait on their reply. But more importantly, it means that MemberMouse users who don’t have a tech support team like MemberFix in their corner, and who are not particularly tech savvy themselves can do the same. Again, this may not seem like a big deal to you but trust me—I’m in the tech support business—when it counts, being able to quickly solve a problem in a pinch just by referring to some well thought out documentation is the difference between a botched launch / displeased customer, and a successful launch / delighted customer! That goes double if you’re doing the tech stuff yourself. Sometimes though, even with an excellent knowledge base at your disposal you’ll get stuck on an issue and need to contact support. When that happens, how does MemberMouse rank on the support-o-meter? In my experience the support is very responsive. Much of the time you can actually avoid having to contact support altogether by consulting the knowledge base, which documents most all of their features, common issues, etc. The way you submit support tickets to MemberMouse is via a Typeform, which I find cumbersome. Hence the reason I simply email [email protected] instead. 🙂 There’s also a live chat in the MemberMouse support portal but it’s only available during business hours. In either case, you’ll receive and manage your support replies via email (although I think you can log into FreshDesk as well). The email threads are fairly easy to follow. However, because FreshDesk uses nested replies you can sometimes wind up with giant Lego-like email towers if a thread goes on for too long. But I’m nitpicking. One thing that I quite like is that you’ll usually stay with the same support agent for the entirety of a given issue. Occasionally, your request will be escalated to a more senior support agent or, rarer still, to Eric T. The agents tend to reply quickly, thoroughly, and professionally. I’ve heard conflicting reports from customers on the level of resolution they got from MemberMouse support but I can’t say that I’ve ever had anything but good experiences. I think a lot of people have strange expectations around their tech, what it “should” be able to do, and the support behind it. (It would be unreasonable, for instance, to expect MemberMouse to troubleshoot 3rd party integrations that they didn’t build. And so they don’t.) This colors their experiences and may result in a “shoot the messenger” phenomenon. I’ve had legitimately poor experiences with various support departments but not with MemberMouse in particular. Lately, the founder of MemberMouse, Eric Turnnessen, has also been doing weekly office hours with customers and prospective customers. One of our customers recently attended a session and said she found it quite useful. That the busy founder of a lively SaaS company would allocate his time to personally speak to his audience about anything they might care to discuss (including sundry issues that many founders would deign to trivial to address themselves live) speaks volumes about the kind of founder that Eric strives to be, and the kind of company he wants MemberMouse to continue becoming. As a non-developer myself, I’m reluctant to speak on technical issues that I don’t have direct experience with or understanding about. However, our customers’ experiences with doing custom MemberMouse dev have been somewhat mixed. It’s hard to say how much of this is creative interpretation and how much is a “shoot the messenger” phenomenon versus some actual deficiencies in the MemberMouse developer tools suite versus the skill deficiencies of a particular developer. My team and I, however, were able to build a few integrations with MemberMouse. For example, we create an integration between PayKickStart and MemberMouse (Part 1 | Part 2) with relative ease (which is also a testament to PayKickStart’s API), that allowed members to upgrade, downgrade or cancel their accounts while logged into the MemberMouse membership site, even though PayKickStart handled all the billing (which is why we needed the integration to begin with). MemberMouse also has a bubbling community around it. There are many contractors on Upwork who can work with MemberMouse, my team and I work with MemberMouse, and there is a list of qualified contractors on the MemberMouse website (which we also belong to). This is important because if you’re going to be working with a plugin and using it to its full potential you’ll have need to do various customizations and enhancements, and it’s good to know there are plenty of people to choose from to help you in this regard! We also figured out how to set up a free affiliate program with MemberMouse using a few free plugins that some of our customers have found useful. MemberMouse’s ability to take custom fields made this integration possible. User reviews section coming soon!